I’m back from the first Los Angeles Podcast Festival, which was about a week ago. 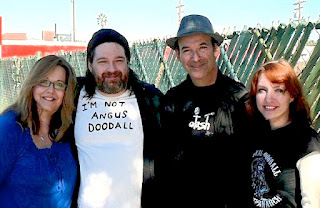 It was pretty much a success and more well organized than you might imagine four comedians — Dave Anthony, Graham Elwood, Chris Mancini and Andy Wood — might be able to pull together. There were some interesting panels on how to promote your podcast and how to soup up your technology, stuff like that. And a bunch of live podcasts, everybody from Greg Behrendt and Dave Anthony’s Walking the Room and Superego! to Fitzdog Radio and Doug Loves Movies. Doug Benson’s show included Marc Maron, Zach Galafinaikis, Steve Agee, Todd Glass, and Dave Anthony. It was the most hilarious train wreck of a live podcast you’re liable to see…or hear. Firstly, my background music: If you like Bluegrass, check out the tunage behind me in the show's opening. That's It's Okay To Pick It by comedian Denny Johnston and Mark Linford. You can get yourself a copy and can rate it for them over at CDBaby, iTunes and Amazon. Epi38 features my interview via Skype with friend-of-the-show Dave Nelson, host of the Comedy A-Go-Go podcast and who recently dropped his 100th episode. David interviewed me right after the very first episode of Succotash landed and I'm a little embarrassed it's taken this long to return the favor. As far as the clips for this episode go, I was so inundated by the popular shows at the Podcast Festival last week that I thought I’d try to feature clips from shows you might not know about, and a few that you might because I’ve featured them here before. According to their site, Podkward hosts Emilio Rossal and Engineer Cesar chat with actors, musicians, filmmaker and hobos about a variety of topics including movies, relationships, strange rashes and more. 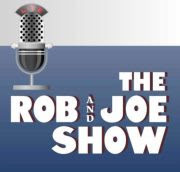 We’ve heard from Rob Maher and Joe Robinson of The Rob & Joe Show out of Baltimore before. They’re always got some interesting chatter going on and, in this clip, it’s about Rob’s encounter at a standup show with a blind audience member after the show. They livecast every Monday night at 7:30 PM East Coast time at their homesite. In the second clip we've played from The Rigid Fist, host Kat Sorens and his guest Carl MacAteer start out talking about exercise apps and end up in somewhat seamier territory. I’m not quite sure what the thing is with the Ben-A-Pod podcast. 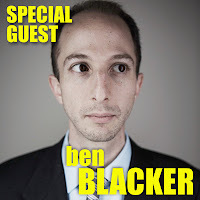 Host Benjamin Bubb has guests, features, chat, and “audio drama” but Ben’s voice is electronically modulated throughout the show. It’s like listening to a Stephen Hawking podcast. I’m not sure if it wouldn’t drive you crazy hearing it all the time, but it’s definitely different. Especially this clip which get super-meta as Ben-A-Pod calls an automated help line. I actually shouldn’t be playing this epi's Burst O’ Durst with Will Durst because it’s kind of time-sentitive — it’s based on the second presidential debate and now the third and final debate has already come and gone. 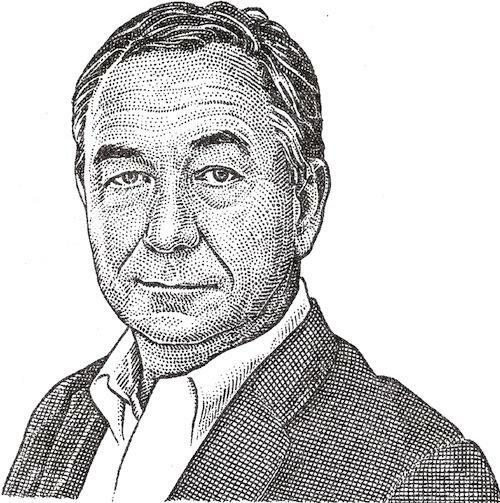 But it’s Durst, dammit, so here it is! Hope you enjoy this episode. 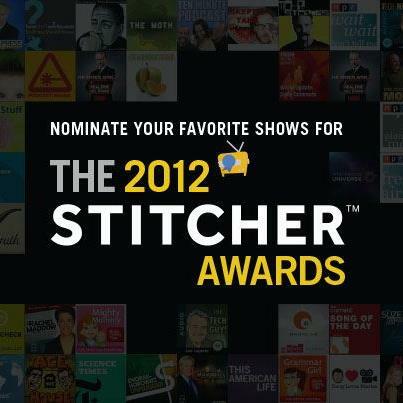 If you’re a comedy podcaster and want us to feature a clip from your show on Succotash, just send along a 3-5 minute MP3 or WAV chunk to clips@SuccotashShow.com. And if you’re a fan of a particular comedy podcaster, let us know what it is by dropping a line to me, Marc@SuccotashShow.com and I’ll track it down. 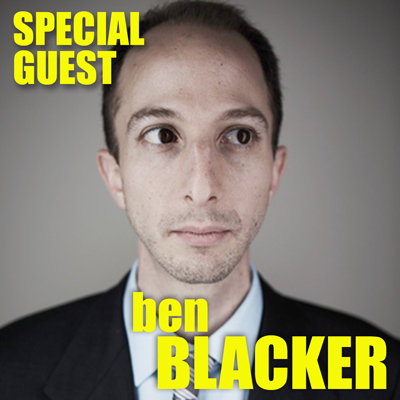 I was delighted to be able to slice out a chunk of time with Ben Blacker, half of the the brain trust (along with producing/writing partner Ben Acker) behind The Thrilling Adventure Hour. For those unfamiliar with TAH, it's a mega-popular once-a-month stage show in Hollywood, Los Angeles, California, America, which then gets sliced and diced into a weekly podcast as well. 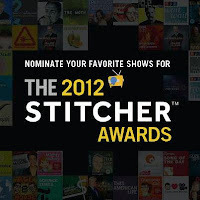 We've featured several clips on Succotash and I've reviewed it favorably in This Week In Comedy Podcasts over on Splitsider.com. Ben's an affable chap who talks about the origins of some of the show's most popular segments — Beyond Belief, Sparks Nevada, Marshal on Mars, The Adventures of Captain Laserbeam and more – and we drop clips from the segments as we mention them. Since I've only been able to enjoy TAH via podcast, I can't wait for the opportunity to catch the stage show one of these days during an upcoming trip to Los Angeles. I hope you enjoy Epi37 — The Thrilling Adventure Hour is a kickass show and a lot of fun, and I enjoy doing this sort of "tribute-on-the-fly" for it. Look for more theme shows like this in the future from Succotash but don't worry: We remain your Comedy Podcast Podcast and will be presenting a ton more clips from podcast everywhere! Live Succotash Alert: The Los Angeles Podcast Festival is this weekend — October 12-14 — in Santa Monica, CA, and I'll be there. Hope to run into a lot of my podcaster friends and acquaintances there. And I'll be interviewing as many folks as I can while I'm in town. Look for me in the Succotash t-shirt. I'll also be tweeting my location through @SuccotashShow live as the fest progresses.